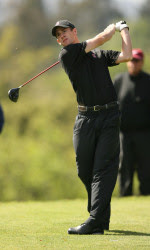 NORMAN, Okla. - Senior golfer Rob Grube was recently named to the 2008 Ben Hogan Award Watch List by Chesepeake Energy in association with Colonial Country Club, The Friends of Golf (FOG) and the Golf Coaches Association of America (GCAA). 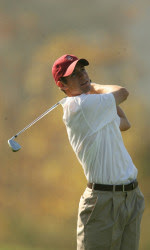 Conrad Ray of Stanford will lead the United States against Europe in the 2008 Palmer Cup presented by Monster, the Golf Coaches Association of America has announced. The Ryder Cup-style showdown between teams of college stars from the United States and Europe will be played June 26-29 at the Glasgow Golf Club's Gailes Links. A member of the Stanford golf team is one of four golfers ever — including Tiger Woods — to capture eight American Junior Golf Association titles. He is also the first U.S. 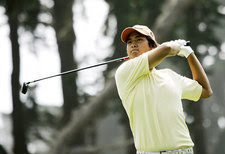 Junior Champion to enroll at Stanford on a golf scholarship since Tiger Woods in the mid 1990s. Though he is young, the freshman tied for first individually at the CordeValle Collegiate Invitational in November and was runner-up last week along with senior captain Rob Grube in the Cardinal’s first team victory of the season. This long list of accomplishments may only be the tip of the iceberg for freshman Sihwan Kim, however.